Pastel pink and soft cream blooms arranged in a rustic basket. This item is available for delivery by Pams in Corby and surrounding areas. 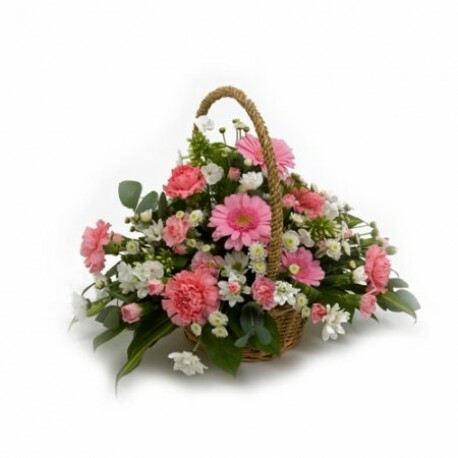 A beautiful basket arrangment arranged in flowers of your colour choice.